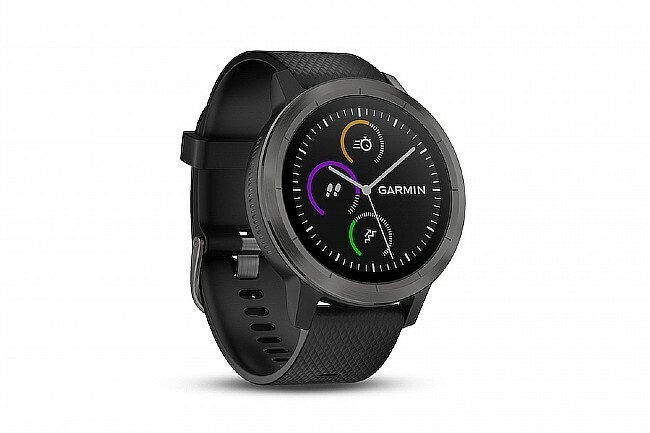 On top of a diversity of features that help you improve the efficiency and quality of daily living, the Vivoactive 3 Smart GPS Watch is Garmin’s first wearable to offer contactless payment technology, Garmin Pay™, so you finally get a sidekick that can go the distance. 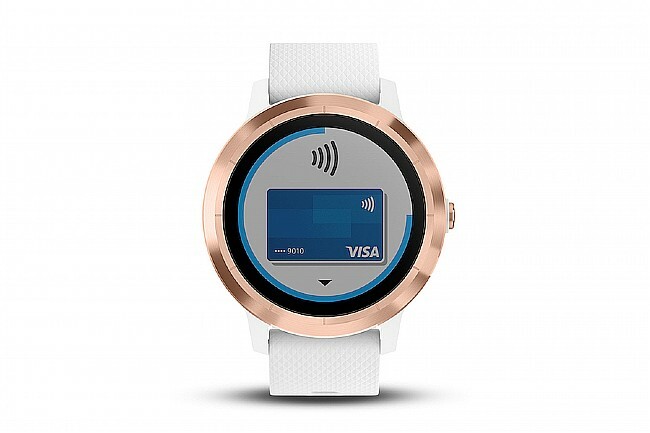 Like other contactless payment services, Garmin Pay™ allows you to make purchases with your watch alone at nearly any vendor that’s setup for contactless pay. Also, it’s a great alternative to carrying a wallet (or problem-solver when you forget it at home). The watch face features a customizable easy-to-read Chroma Display™ housed in high-strength Corning® Gorilla® Glass. The 20mm-wide silicone wristband bears a stylishly understated quilted diamond texture that can complement any outfit or setting. Its construction is so durable that it can be worn while showering and swimming. 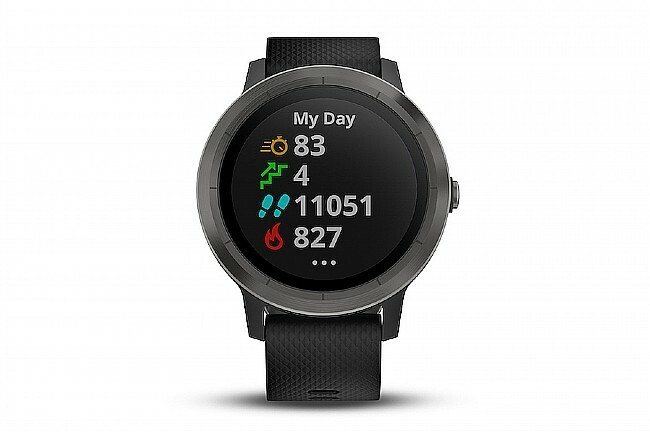 Built-in GPS and GLONASS paired with Garmin Elevate™ wrist-based heart rate monitoring enables fitness and stress tracking as well as detailed activity recording. Create and download custom workouts to the watch and/or experiment with over 15 preloaded sports apps to shake up a routine. 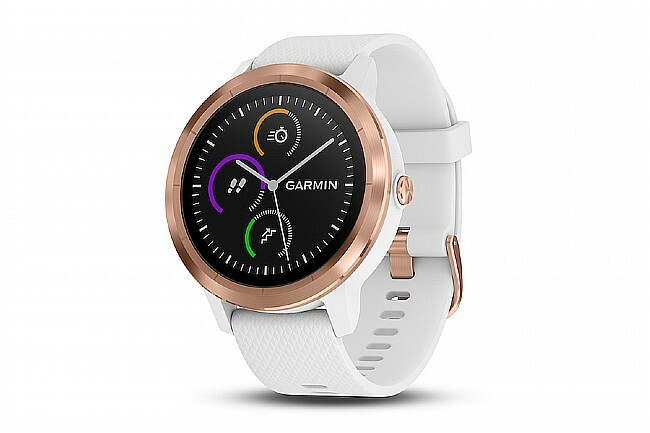 Compatible with Garmin’s Connect IQ™ store, the Vivoactive 3 Smart GPS Watch can be highly personalized by downloading custom watch faces, widgets, and apps that suit your tastes and lifestyle. When paired with a compatible smartphone via Bluetooth® Smart, it’s possible to stay connected; receive and respond to text messages, read emails, view social media updates, control music on your phone, and more. Garmin Connect™ and Connect IQ™ compatible. Safe for swimming and showering. Fitness tracking (Fitness Age, VO2max). Over 15 preloaded sports apps. Fits wrists 127-204mm in circumference. Water rating: Swim, 5 ATM. Display type: color, sunlight-visible, transflective memory-in-pixel (MIP). Display resolution: 240 x 240 pixels. 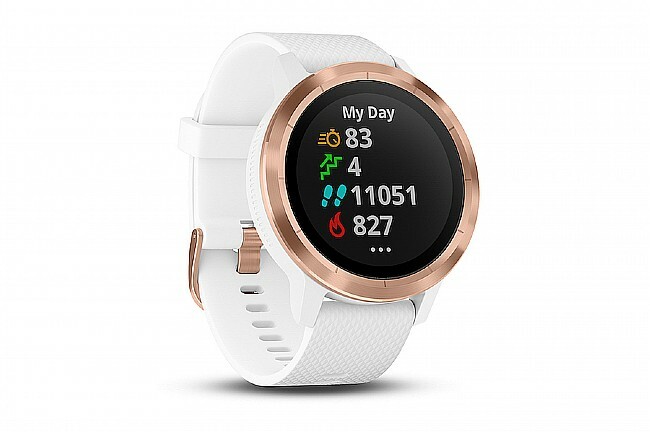 Battery lasts up to 13 hrs (GPS); Up to 7 days (smartwatch). Lens: Corning® Gorilla® Glass 3. Case: fiber-reinforced polymer and stainless steel. 20mm Industry Standard Quick Release Band. Wanted a bit more of a stylish watch for everyday wear. Having multi-colored bands is a great option and I like the rose gold face. It's a bit more dressy than black or stainless. Love the GPS when just out for a walk, shows my location on Garmin Connect just like my Edge 810. Easily pairs with Garmin to show daily activity and iPhone to receive text messages and alerts for Ring doorbell. Able to control music on iPhone without picking up my phone. It's a bit pricey but I'm very happy with it.